Hokkaido is the northernmost island in Japan. Avid skiers often call it “the powder capital of the world” because of its 50 feet or even more of deep powder that falls on its slopes just about every skiing season. This description certainly wouldn’t make it seem like the perfect place to raise cattle. Well, actually it is and a man named Fujio Terauchi is Hokkaido Snow Beef’s only producer worldwide and he raises all of his famous and very rare Japanese wagyu right there on the island of Hokkaido. In Japanese, “Wagyu” means quite simply “Japanese cow”. It usually covers four breeds in Japan and they are the black, brown, polled, and Shorthorn breeds. And, all over Japan, Fujio Terauchi is well-known as “The Wagyu Meister”. The very best wagyu, which includes both Snow Beef and Kobe Beef, are from black breed strains. The cows that Fujio Terauchi raises are purebred Kuroge black wagyu. Their diet is made up mainly of sweet corn, which the island of Hokkaido is quite famous for. The frigid climate there necessitates the growth of a super-thick coat, which in turn, encourages a singular type of fat dispersion. 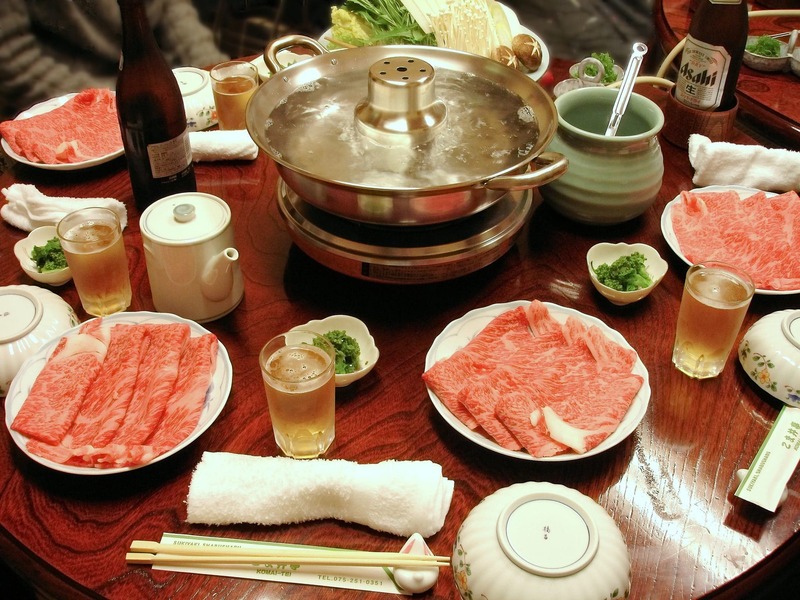 Now, personally, I had heard about Kobe Beef in the past but not about Hokkaido Snow Beef. My husband was a filmmaker and traveled to Japan on business. While he was there, he had the opportunity to try Kobe and raved about how it was unlike any steak he had ever eaten. It seems that just about everybody who tries it basically has the same reaction. On the other hand, those who have never tried it can’t quite see what the fuss is all about. Many folks wonder, what makes it so special and how does it get that way? Many interesting rumors have surrounded Kobe Beef for years now and one of them was that Kobe cows are actually massaged daily. It has also been rumored that farmers play classical music for them. Wonder who they like best, Chopin or Beethoven? And, do they prefer sake or beer? They’re all myths, although many Japanese farmers do indulge in spoiling their herd. However, Wagyu live in pens just like American cattle. The main difference is that Wagyu are fed a completely animal byproduct, antibiotic, hormone, and steroid–free diet. In addition, their feed must be 100 percent locally grown. They’re also raised using special care for more than 30 months. From birth, they’re taken care of by ranchers who are proud to dedicate their lives to raising extraordinary cows. For more than 600 days, they’re fed a very special diet of wholesome foods like barley, corn, rice, and wheat, which will promote “shimofuri” aka marbling. 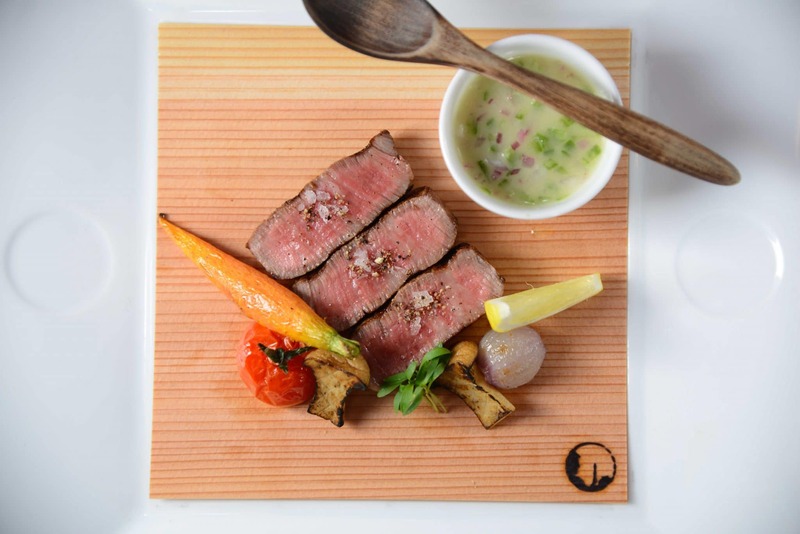 It’s a 100 percent purebred Japanese Wagyu and it comes from a co-op called Miyachiku. Kuroge Washu aka “Japanese Black” is the breed of cattle used for Miyazaki. 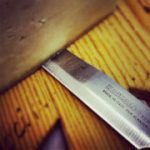 It’s intensely marbled and has much softer fat than most beef plus a higher percentage of both omega-3 and omega-6 fatty acids as well as monounsaturated fats. In addition, the beef is lower in cholesterol than most beef. All of this imparts a distinctive tenderness and rich flavor. What’s the Difference Between Kobe and Wagyu? Simply put, Wagyu is a rather broad terminology that is used to label Japanese cows in general. 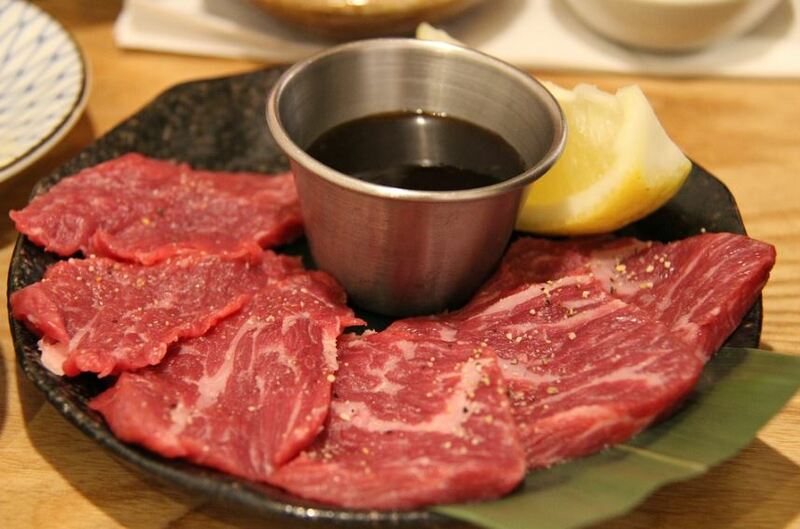 Kobe beef, on the other hand, is actually the name used for a type of beef that has been raised in the Kobe province. In addition, there are a few more regulations for beef to live up to if it is to be Kobe certified. Conversely, Wagyu could be raised anywhere worldwide and still be called Wagyu. 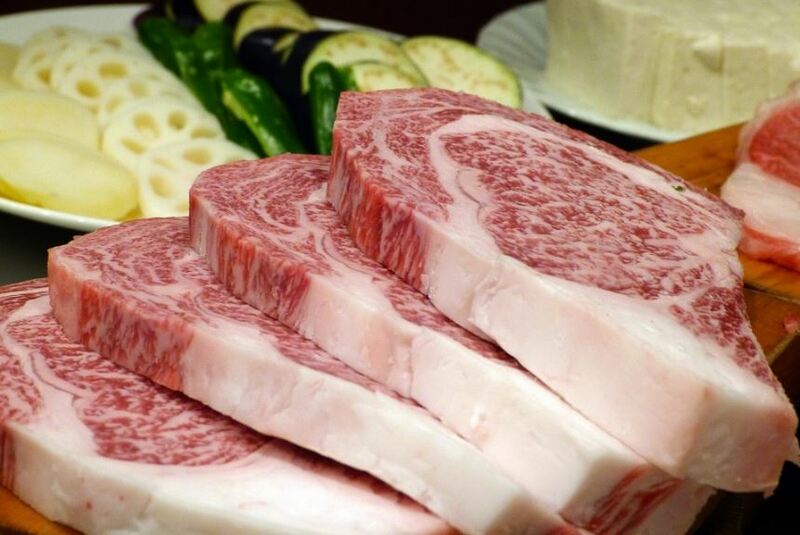 According to an article from CNN Money, Kobe beef is one of the priciest foods in the world. Season the steak sparingly using salt and pepper. We say sparingly because you don’t want to overpower that delicious taste. Let the seasoned steak rest at room temperature for approximately one hour. Heat the pan on medium-high heat using just a sprinkle of oil or by coating the pan with some fat trimmed from your steaks. Pat the steaks dry prior to searing them for a beautiful brown crust. Once your pan is heated thoroughly, put your steak in its center for searing it. Depending on how thick your steak is, cook it just until you see the juices form on top and there’s a nice brown crust. Flip your steak. Important: As with all steaks, flip it only once, cooking that side and then removing it from the heat. Always allow steaks to rest for five minutes prior to serving. Thinly slice your beef to help reduce your cooking time and make it lighter and more tender. And, yes, you can, of course, make this recipe with any kind of beef but it’ll never be quite as yummy as Kobe Beef Skewers. In a bowl, mix your beef, curry powder, salt, pepper, and Worcestershire. Wrap your seasoned beef around your skewers. Heat the olive oil in a frying pan, sauteing your skewers over medium heat for approximately four minutes, turning them so they cook evenly. Transfer the skewers to a plate, garnishing with the lettuce leaves. Enjoy! So, at this point, I really hope that rather than boring you with all of this history, I have given you some valuable info and, more importantly, made you yearn to try one of the amazing Hokaido snow beef recipes for yourself (and maybe some lucky dinner guests, too). It’s sure to be a culinary experience that you’ll never forget!